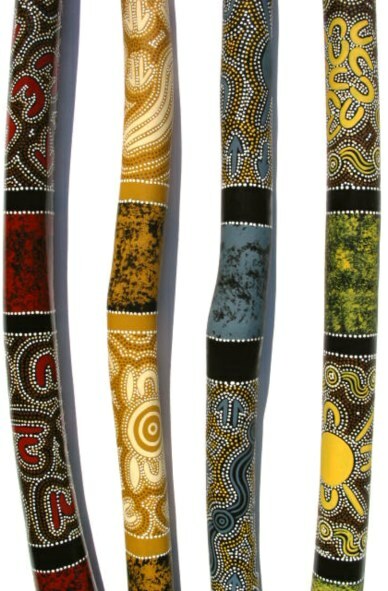 Mallee ant eaten didgeridoos crafted and decorated by Aboriginal Artists. 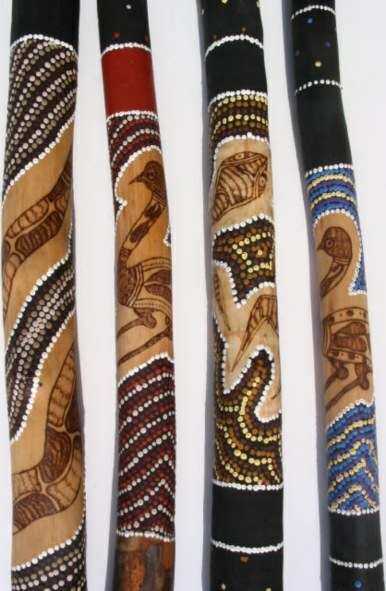 Each didgeridoo is unique and all designes and shapes are different. The illustration just gives general idea how your next didgeridoo could look like. Mallee ant eaten didgeridoos crafted and decorated by Aboriginal Artists using Dot Art and Wood Burning techniques. Mallee ant eaten didgeridoos crafted and decorated by Aboriginal Artists. Each didgeridoo is unique and all designes and shapes are different. Specially selected Mallee ant eaten didgeridoos. 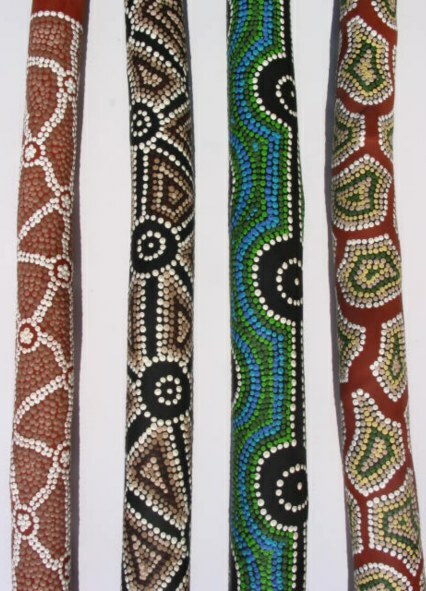 Made and painted by Aboriginal Artists. 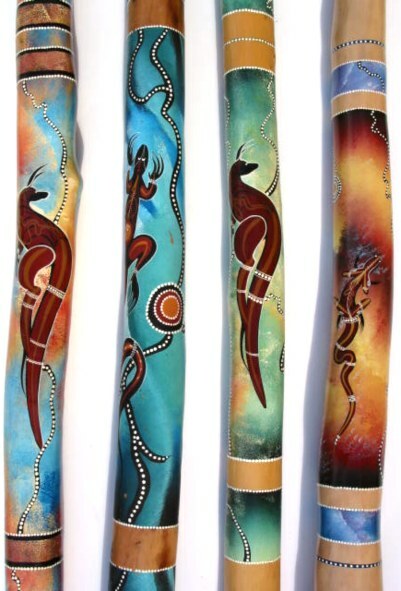 Each didgeridoo is unique and all designes and shapes are different. 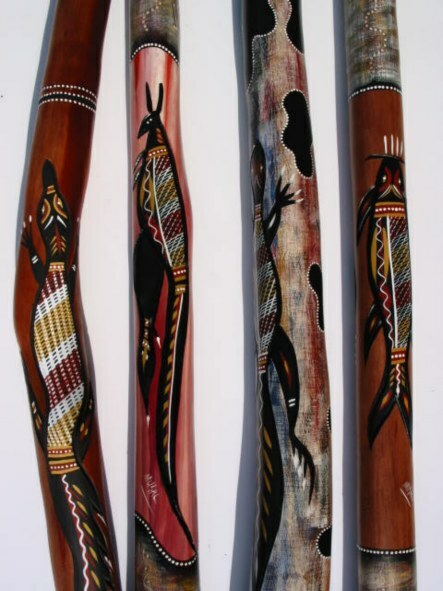 These Mallee ant eaten didgeridoos are decorated using Aboriginal carving techniques and crosshatch painting technique where eucalyptus leave is used instead of brush. 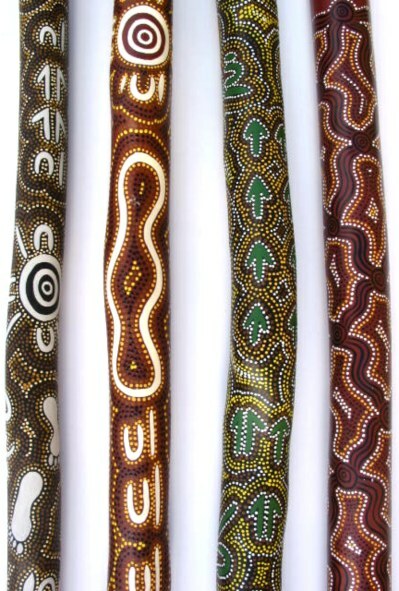 Mallee ant eaten didgeridoos crafted and decorated by Aboriginal Artists using traditional Dot Art technique. All designes and shapes are different. Mallee ant eaten didgeridoos crafted and decorated by Aboriginal Artists. 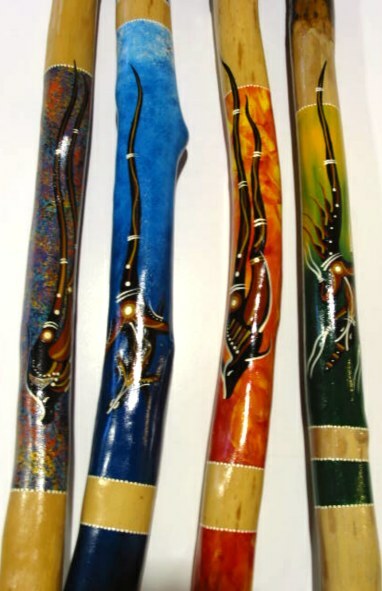 These beautifull Mallee ant eaten didgeridoos are fully covered with dot painting. 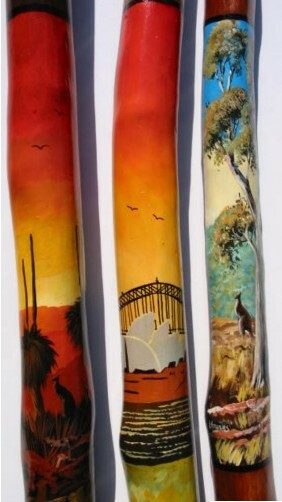 Painted by hand, of course, it takes anormous amount of work to make one didge like this, so only the best quality Mallee logs are selected. 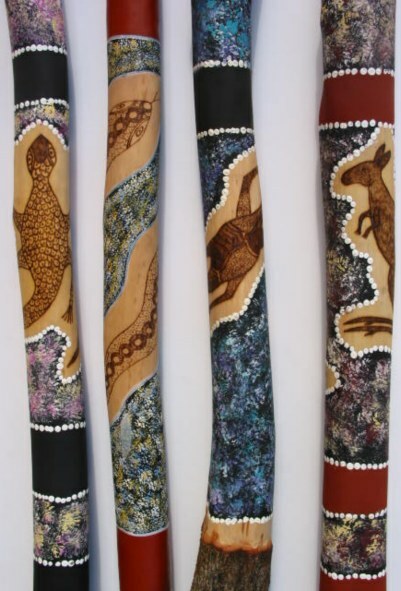 Outstanding Aboriginal artwork on selected Mallee ant eaten didgeridoos. Australian icons, landscapes, animals. If you are after particular motif, please specify in comments field.